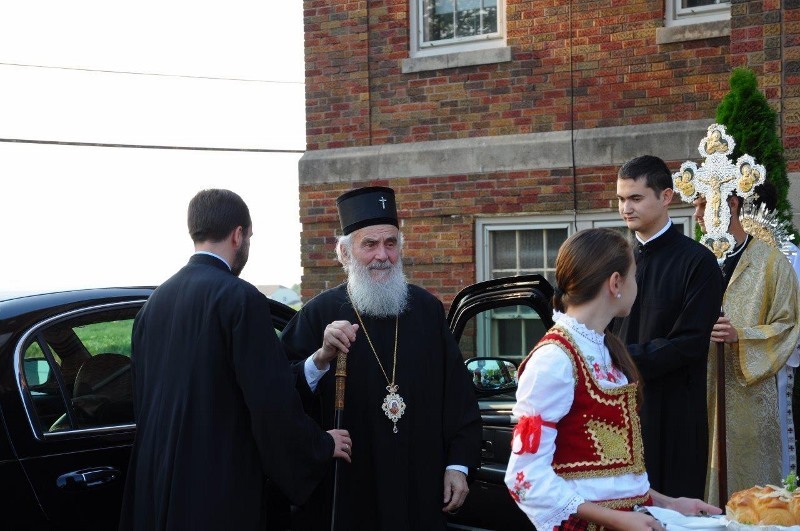 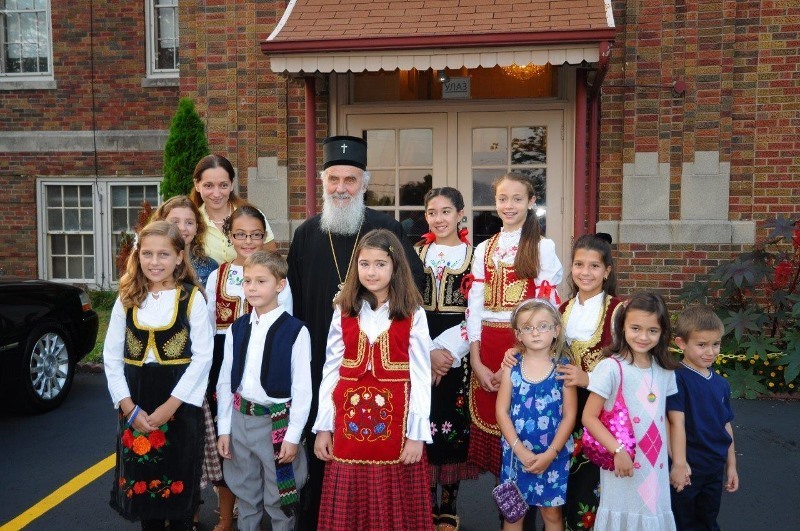 Racine, WI - His Holiness Irinej, Serbian Patriarch, arrived in Chicago on Saturday, 7 September 2013. 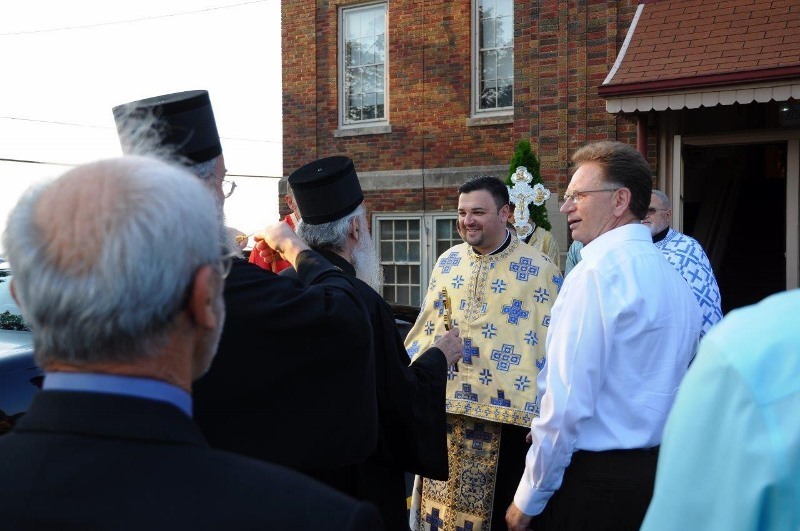 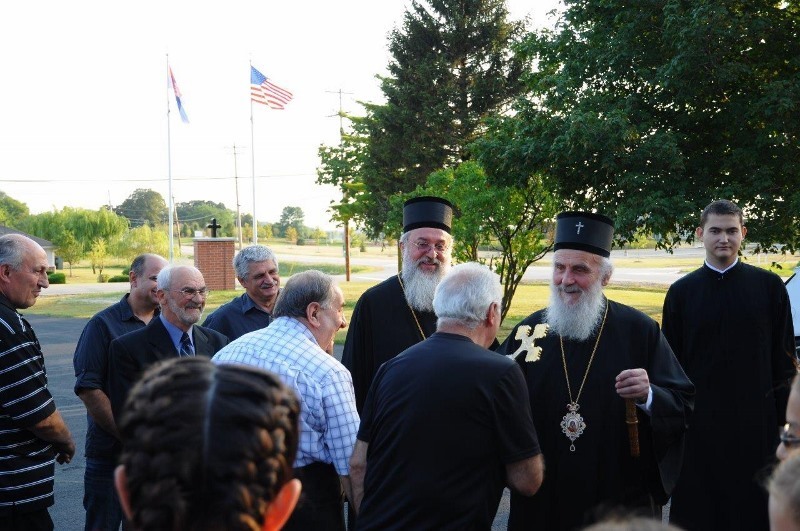 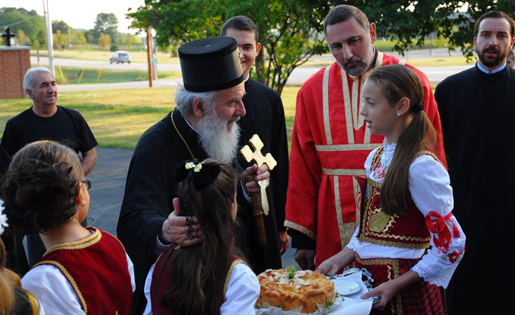 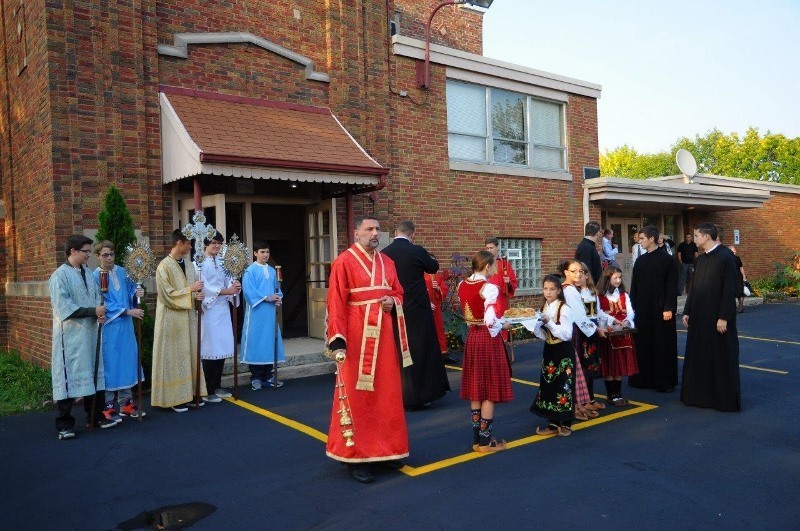 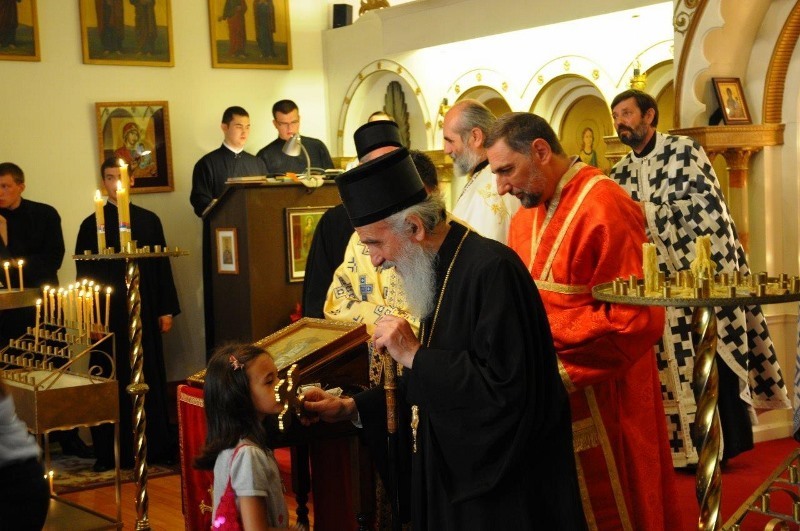 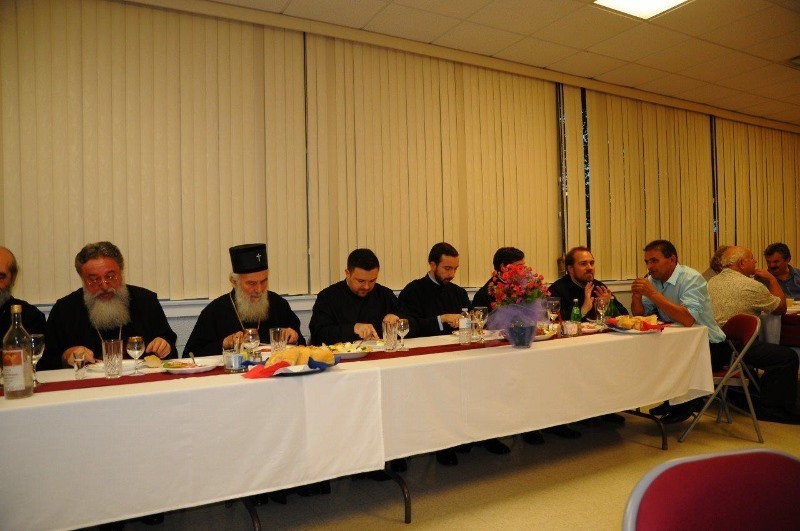 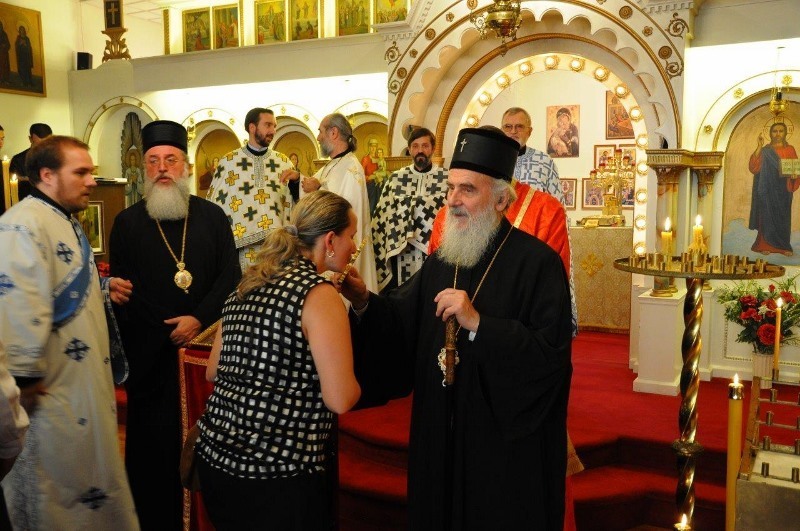 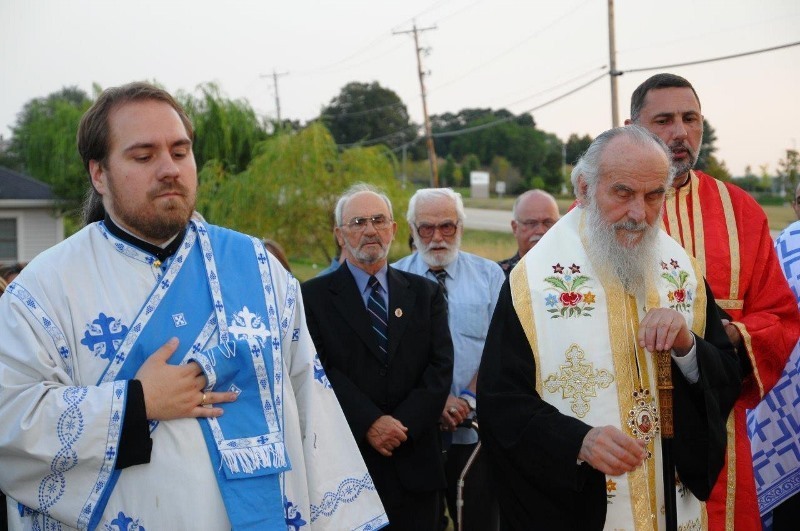 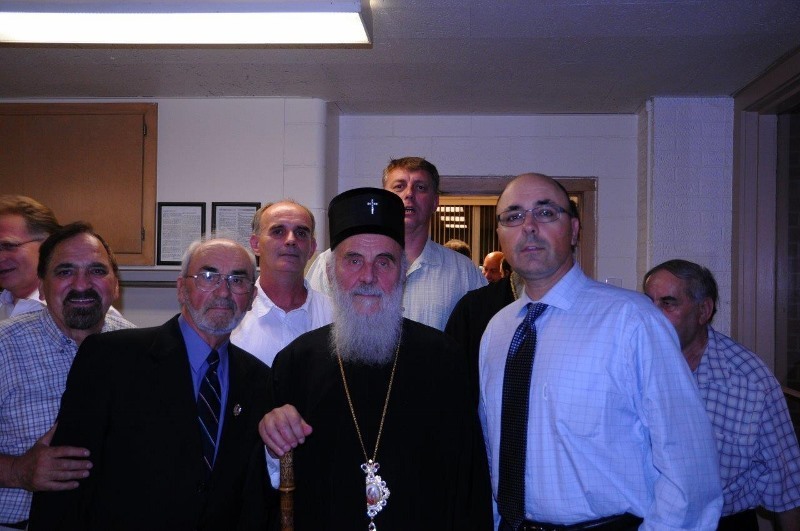 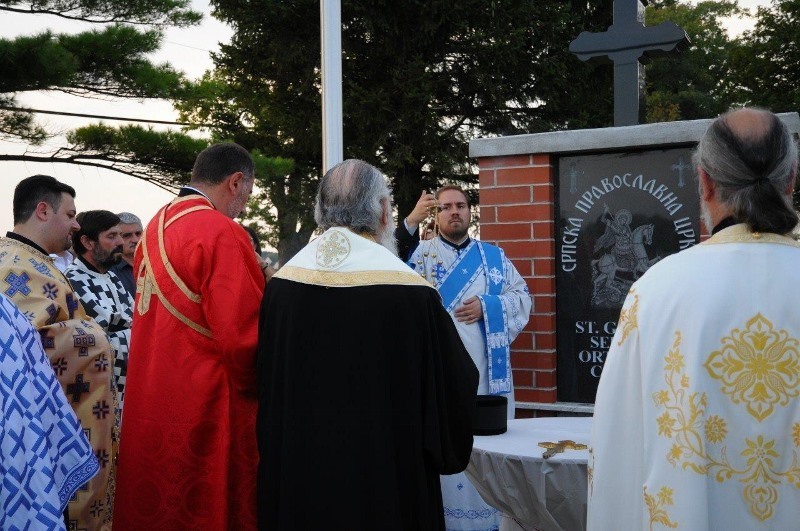 The same day the Patriarch visited the church of Saint George in Racine accompanied by Bishop Longin of New Gracanica-Midwestern America, Presbyter Vladimir Vranic and Deacon Nikolaj Kostur. 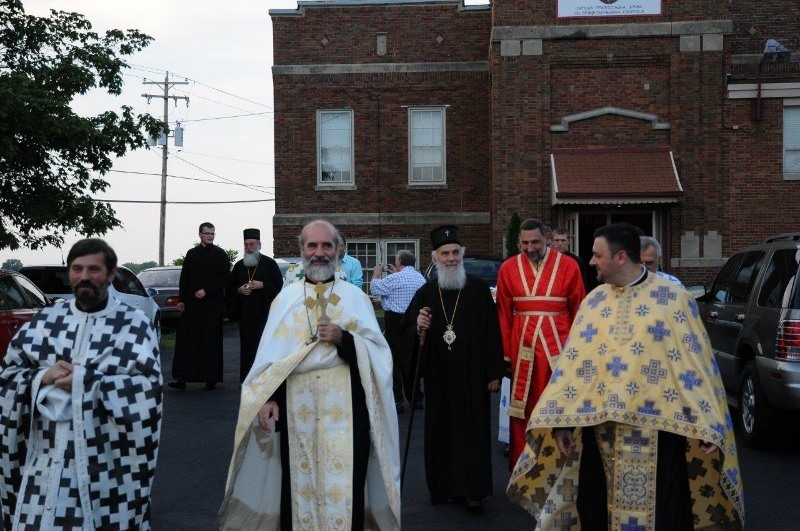 Following the evening service Patriarch Irinej blessed crosses in front of the church. 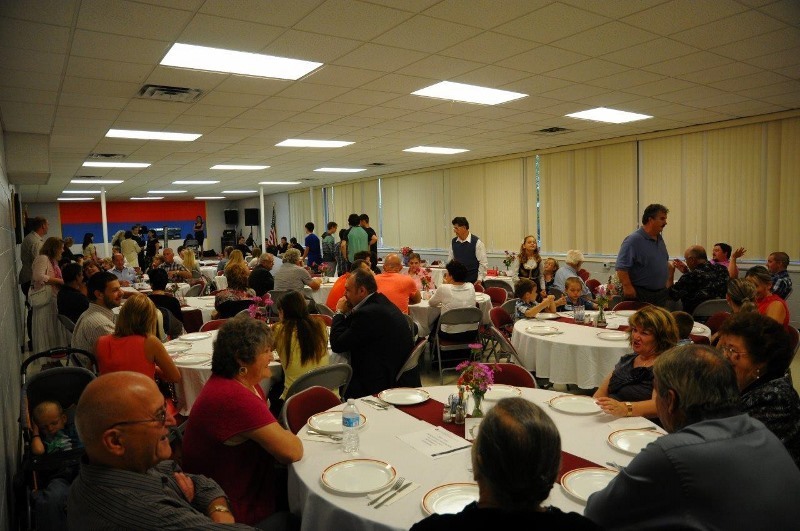 On this joyful occasion, the congregation prepared an agape feast. 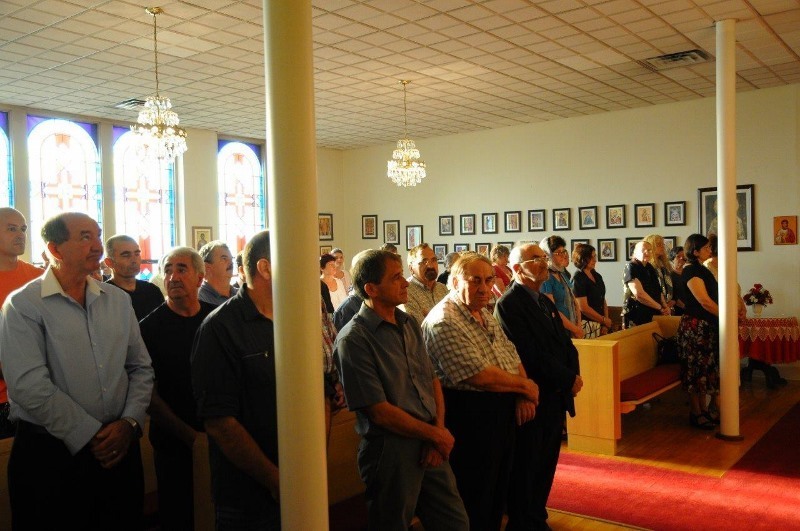 Presbyter Petar Sailovic and Bishop Longin delivered welcome speeches. 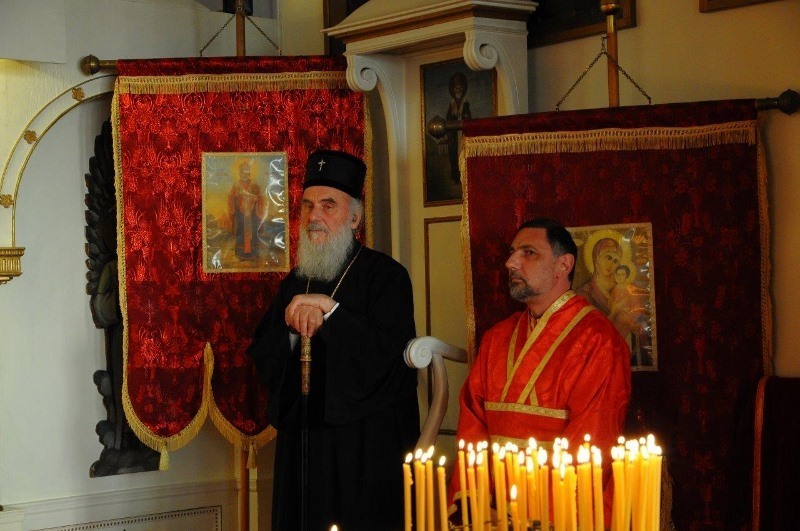 His Holiness delivered a sermon emphasizing the significance of the unity of our Church and our people.